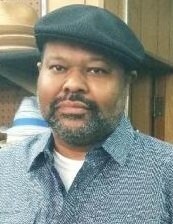 Mr. Shawn D. Coffer transitioned on Thursday March 28, 2019 at his residence in Collingdale, Pa. He was 48 years of age. During his life time he worked as a truck driver in the transportation industry. He will be missed by his loving family and friends. A life celebration service will be held on Thursday April 4, 2019 at From The Heart Church Ministries of Philadelphia, 3600 North 20th Street, Philadelphia PA 19140. The viewing will begin at 9:00 AM with the service to follow at 11:00 AM. The interment will be at Northwood Cemetery 15th & Haines Street Philadelphia 19126. Please remember the family in your prayers.